It’s the most wonderful time of the year. No it’s not Christmas, it’s the start of the NBA regular season. The day that many of us have been anticipating due to many headlines in the off-season which included DeMarcus Cousins to the Warriors, Carmelo Anthony to the Rockets, Jimmy Butler drama, and more importantly, LeBron James leaving his home-town for the Los Angeles Lakers. After LeBron’s departure, it significantly affects the Eastern Conference as we should expect some movement around. The Celtics won 55 game last year despite Kyrie’s and Gordon’s absence which combined to miss 103 games. They appeared in the Eastern Conference Finals and took LeBron James and the Cavaliers to 7 games. It will take some time to get Irving and Hayward back into NBA-shape, but the Celtics can easily rely on their bench players like Terry Rozier, Jaylen Brown, and Marcus Morris. Second-year player Jayson Tatum has shown improvement as he put in the work over the summer and had a fantastic playoff run last season. If it’s anyone to be compared to the great Kobe Bryant, it’s Tatum because of the way he plays. With a ton of depth and them being a great overall team, expect the Celtics to be in the NBA Finals for years to come. Don’t expect this team to enter the NBA’s regular season and to go off on a hot start. With the addition of superstar Kawhi Leonard who is coming off of an injury, the Raptors will most likely start slow. With Leonard healthy and the bench players improving, expect this team to be a top two team in the Eastern Conference in terms of standings. There’s no DeMar DeRozan and as much as that might sting The North, Leonard gives a better chance for the Raptors when it comes to going to the finals. Toronto has struggled against LeBron as they have lost three consecutive series to him in the playoffs, but since he’s not in the Eastern Conference anymore, expect this Raptors team to have full confidence to make it to the NBA Finals. The 76ers exceeded expectations when many analysts and experts thought they weren’t even going to make the playoffs. With the combo and improvement of both Joel Embiid and Ben Simmons, this team will most likely be a top 3 seed in the Eastern Conference. One of the main concerns for them is whether or not they can maintain being healthy and if they can, then this is a very dangerous team moving forward. They re-signed J.J. Redick and are basically the same team that they were last year except with more experience. With a loss to the Boston Celtics in the Eastern Conference Semi-Finals, expect the 76ers to make some key adjustments in order for them to make a deeper run in the post-season this time around. The Pacers shocked the entire league with their 48 win season and a playoff appearance last year. After trading star forward Paul George to the Oklahoma City Thunder, nobody expected the Pacers to be a playoff team. With the development of star guard Victor Oladipo and forward Domantas Sabonis, this Pacer team will be on another level. With the additions of shooters like Doug McDermott and Tyreke Evans, this team will be even more deep than some people expect. Despite the loss of some bench players like Lance Stephenson, they still have a dangerous bench unit with McDermott and Evans and still remain as an underrated team. Many still won’t give respect to this team, but the Pacers won’t need it if they plan on being one of the top teams in the East. Last season, the Bucks under-achieved as they posted a 44 win season and clawed their way in to the 7th seed in the East. With the firing of coaches and staff last year during the season, the Bucks went through many changes in terms of style of play and struggle of consistency. With their head coach Mike Budenholzer established this time around, it helps the Bucks as a unit to get adopted to one coach and play his style of basketball. Budenholzer has plenty of playoff experience with the Spurs and Hawks as that should help out this young Bucks team led by one of the best players in the league Giannis Antetokounmpo. This will be an entertaining team to watch and it will be interesting to see if the Bucks can maximize their potential and if they can, watch out. Another team that has been under-performing as of lately are the Washington Wizards. They struggled last season as injuries to star guard John Wall made the team worst. One thing we did see last season was the development of Bradley Beal, who managed to play all 82 games while posting 22.6 points, 4.4 rebounds, and 4.5 assists, and 1.2 steals per game. With Wall and Beal 100% healthy, expect this team to be better than they were last year. However, since the Eastern Conference is more competitive than ever, the Wizards don’t get much love as there are many younger and improved teams. With the addition of Dwight Howard, there’s a lot of speculation whether or not that will be a good move for the team. If Howard can remain healthy and not become a locker-room issue, it’s possible that the Wizards can be in the Eastern Conference Finals this year. The main headline for the Heat entering this season is the final season of Dwyane Wade. Wade has stated that he is going to give it his all in this last season as they should have a ton of motivation to play better than ever. However, the team basically stayed the same in terms of roster. They did re-sign Wayne Ellington, who proved to be a key piece in last year’s run to the playoffs, but if they want to take their team to another level, then it’s essential for them to add someone like Jimmy Butler. Butler hasn’t been traded yet as he still remains with the Minnesota Timberwolves, but the Heat have been the front-runners for his services. This prediction is all before Butler, and currently without Butler, the Heat are most likely one of the bottom seeded teams in the Eastern Conference Playoffs. Don’t let that fool you, they can beat any opponent on any given night. The Pistons have remained out of playoff contention by one spot it seems like for the past two seasons. Now with the former Coach of the Year winner in Dwane Casey, the Pistons will most likely be a better team. With no LeBron James in the Eastern Conference, that probably allows one new team to make it into the playoffs. This team has always been looking from the outside in and with the pieces like Blake Griffin and Andre Drummond who have had more time playing together, the Pistons will definitely have a better season this year. They most likely won’t be a contender in the Eastern Conference, but they can definitely give some trouble to the top teams in East due to their amount of size and physicality in the paint. The Nets have done a fantastic job in terms of getting this franchise back on track. After that horrific trade with the Celtics which included giving up many draft picks for old players like Paul Piece, Kevin Garnett, and Jason Terry, many believed that it would take this team at least a decade to get back into proper rebuild. The Nets have some nice, young, and talented players like Spence Dinwiddie, D’ Angelo Russell, Jarrett Allen, Rondae Hollis-Jefferson, Caris LeVert, and Allen Crabbe. With the additions of veterans like Kenneth Faried and Ed Davis, they’ll be able to mentor some of the younger players. Having the Nets at the 9th seed is not the most popular thing you would see, but the Nets are a better team that most think and are headed in the right direction. 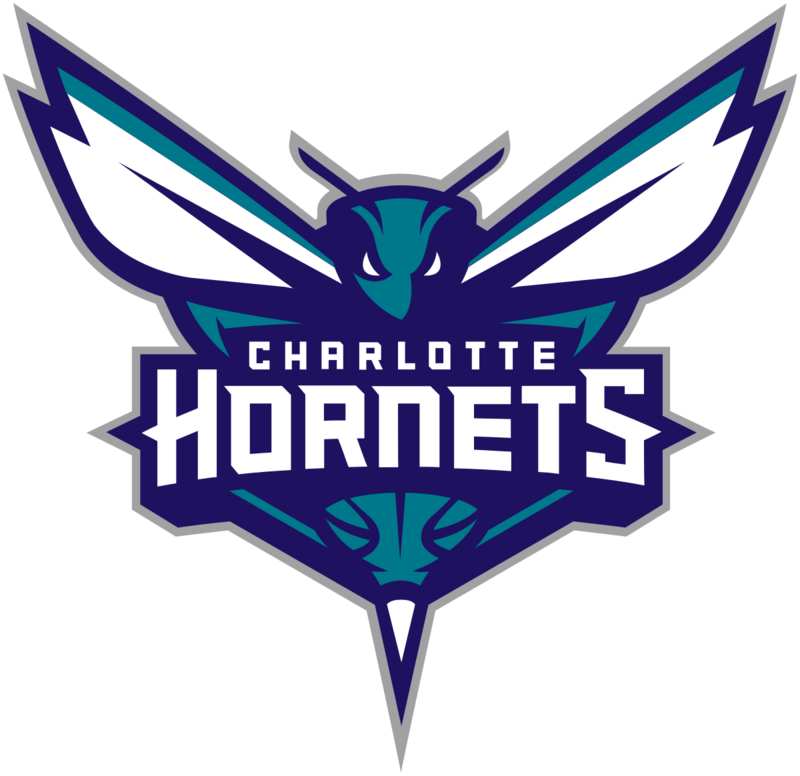 This team didn’t make many improvements and with Kemba Walker’s free agency coming after this season, there is a tremendous amount of pressure put on the Hornets franchise. If Kemba decides to leave, Charlotte will become a lottery team once again for the next so many years. Trading Dwight Howard didn’t make much sense as he put up 16.6 points and 12.5 rebounds per game. He could’ve been a locker-room issue once again but it doesn’t change the fact that he had his best season since his Orlando days. With no Howard and depth, this team could be a much lower seed than just 10 but since they hired former Spurs assistant coach in James Borrego and added Tony Parker in free agency, it’s possible that some Spurs mojo can rub off in Charlotte. The main headline for this Cavalier squad entering this season is how they will play with absence of superstar LeBron James. Many believe that team will struggle and become an instant top three lottery team. Watching them in the pre-season, it definitely seems that they have more ball movement and freedom on the court. With Coach Tryonn Lue having the ability to coach without fear, it’s possible that the Cavaliers could make the playoffs as an eight seed. However, with rookie point guard Colin Sexton, it may take some time for the Cavs to make it back into the post-season. Kevin Love looks better with the absence of LeBron and this team is decently underrated. The Cavaliers can definitely surprise many this upcoming season. The Bulls definitely took a risk re-signing Zach LaVine to a massive contract extension. With his medical history, many believe the Bulls invested in the wrong player and will pay the price moving forward. This team is young and it shows as they have players like LaVine, Lauri Markkanen, Kris Dunn, Wendell Carter Jr., and Jabari Parker. The Bulls definitely have an intriguing mix of talent but it most likely will not result in a playoff appearance. With Markkanen being out for about 6-8 weeks due to an elbow injury, the team will definitely start out slow. This team is still rebuilding and if they don’t make the playoffs, it’s not the end of the world. They have a solid foundation and all they need to do is build on that. The Bulls will have an interesting season this year and will definitely have their moments throughout. The Magic have remained as one of the bottom teams in the Eastern Conference for some years now and it’s definitely time to change the culture. With new addition like Coach Steve Clifford and rookie Mohamed Bomba, this team could possibly make some noise. With Aaron Gordon receiving a big contract extension this summer, a lot of pressure is on him to lead the Magic and to produce some wins. This team has been out of the playoffs for six straight seasons now and it will most likely be a seventh due to the depth and improvements of other teams in the conference. The Magic seemed hopeless a few years back, but it seems like they’re getting back on track, slowly but surely. Expect this team to show some potential throughout the season. The Knicks have been a disappointment to the city of New York for quite a long time now, but this team is headed in the right direction. The only reason why they’re at the 14th seed is due to Kristap Porzingis’ injury. None of us know when he will return as many reports state his return will most likely be in March, but is also aiming for December. Whichever month it is, that’s a late return and by then, the Knicks will have lost plenty of games. Don’t expect them to be in the post-season this year, but that doesn’t mean that they’re not headed in the right direction. With new head coach David Fitzdale, he changes the culture of New York basketball and could begin a new successful era in the city. Rookie Kevin Knox definitely showed potential as it’s nice to see this team improve every year. Just wait a few more years and we’ll be able to see the true results. The Hawks are definitely in a rebuild stage as they have many young players that still have a lot to prove. With first-year head coach in Lloyd Pierce, it will present a challenge for him to coach many young pieces and implement them into wins. The Hawks drafted a wild-card player in Trae Young, who has the potential to be a superstar or a bust. Along with Young is Kevin Huerter and Omari Spellman, who were also drafted in the first-round this past draft. The Hawks are playing the long and rebuilding game which means that they won’t have too many wins. They’ll most likely be playing for the future as they can stack up on multiple first-round picks. If they can manage their salary cap well and draft efficiently, the Hawks will be rebuilding in the fastest way possible.